The 1912 New Orleans Creole / 'Vodun' Band. Photo recovered & paranormally restored by Cifani Dhoma. 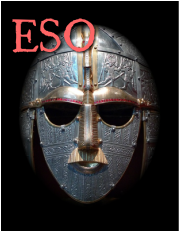 The ESO is a unique ensemble of winds, strings, and rhythm instruments, voices, and dancers, providing classical and sight-reading musicians the opportunity to explore various traditional and vernacular music “by ear” genres in a chamber orchestral format: strings (violin, viola, ‘cello, double bass), winds, and percussion. Section leaders are recruited from the TTU Celtic Ensemble and Baltic Ensemble, but participation is open to musicians from across the TTU campus. Repertoire is drawn from Celtic, English, Appalachian, Balkan, Caribbean, and Scandinavian music & dance traditions, and the Orchestra collaborates extensively with composers, songwriters, choreographers, and virtuoso soloists to create unique symphonic realizations of their creative visions.